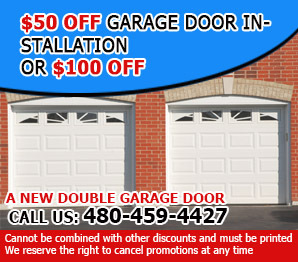 With our garage door repair services in Arizona, you can get a quick fix to any problem. Speed is paired with perfect quality. We have highly skilled technicians, advanced equipment and perfect spare parts to deliver the best solution every time. The best garage door company that deals with repairs and maintenance with a team of experts who can fix all types of issues. The cost of garage door replacement is dependent on the type of garage door spring, and on the size of the door. Large garage doors require a pair of springs. Additionally the springs used could be extension springs or torsion springs. The torsion spring is more expensive, but it lasts much longer than extension springs. Extension springs are used when there is no space above the door to attach the torsion spring. In most instances, an extension spring is used only when a torsion spring cannot be installed. There is also the need for an additional cable assembly to ensure that the extension cable does not do any damage if and when it snaps. The torsion spring is more expensive than an extension spring. 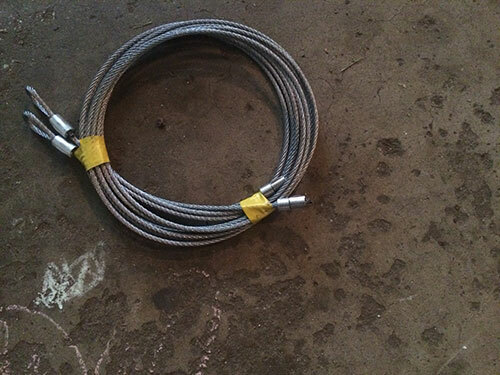 However, it lasts longer and when it breaks, there is no immediate danger to property or to persons within the immediate reach of the spring cables. Replacing a torsion spring requires the expertise of a trained service person. We help property owners with garage door repair services. It does not really matter whether you own a private residential home or a commercial property. The team will always been on hand to give you the best servicing possible in order to ensure durability. you don’t have to look any further. Our company is locally nestled in the city at 1101 N 6th St Avondale AZ 85323. We pride in knowing that we have hundreds of satisfied Avondale garage door customers throughout Avondale. 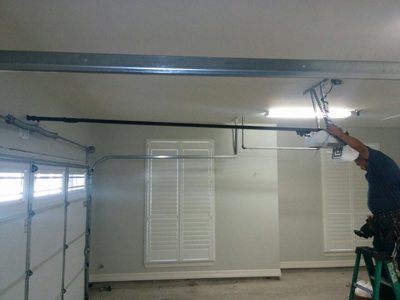 You too can get in touch with us to see how we can service the garage door in your home or business by giving us a call at 480-459-4427. We offer 24-7 emergency garage door services, so feel free to give us a call at any hour on any day. If you would like to know more about the services we have to offer, feel free to get in contact with us via phone or in person. You will come to find out that the prices we offer are the best in Avondale. It’s one of the reasons why we have topped competitors in the area. Our garage door co Avondale is filled with highly skilled technicians that are experienced and courteous. All services are brought to you with professionalism and a 100% satisfaction guarantee. Who can beat that? On the other end, if you’re looking to purchase a brand new garage door service for your home or business, you can browse through our web site to see what you can find. 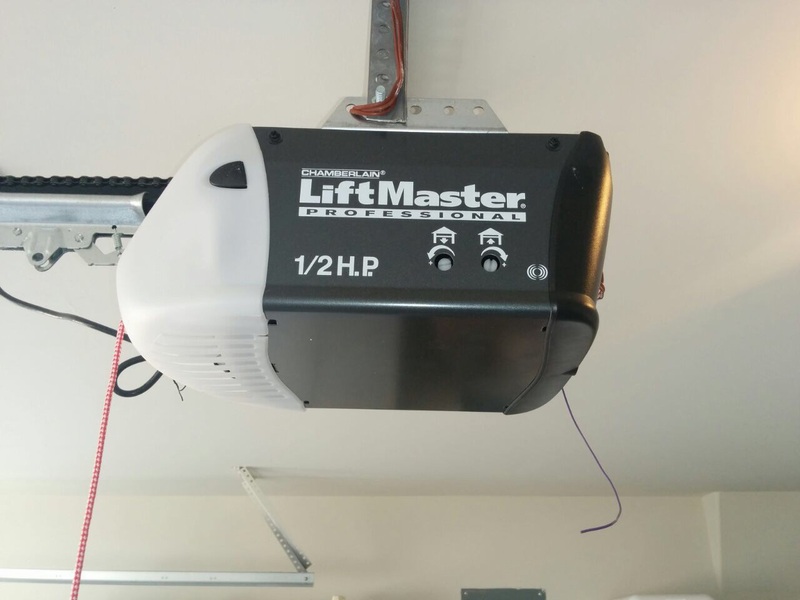 We offer different models from various name brands, like Lowes, Intellicode, Chamberlain, Genie, LiftMaster, Skylift and Craftsman, among others. You can buy these garage doors for affordable prices and in different types, including lift-up, rollup, automatic, manual, carriage and overhead. We are familiar and can service any model and type of garage door. Since we offer commercial and residential services, we are able to help your business and home with any garage door needs. Give us a call or stop by today to see how our garage door co Avondale can help you. Regardless whether they are electric or manual, garage doors need maintenance. Though, electric ones are more peculiar because they have electric parts, which are more sensitive and require special care, concentration and attention. In layman’s terms, a garage door is a huge door that encloses a garage. It might be used in a residential or commercial building. They are either opened electronically (automatically) or manually by the help of a device known as a garage door opener.